- Although Stuart Murdoch slips into his old habit of writing about schoolboy days, he can be forgiven for forgetting that he is decades out of high school by the sheer strength of the music - a tantalizing mix of 70's pop, Thin Lizzy-inspired glam rock, and those slyly subversive tales filled with characters whom you will not easily forget. 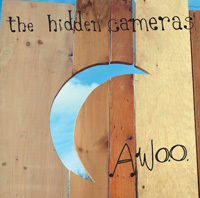 - "gay church folk music" has been used to describe the sound of the Hidden Cameras, and while their stage shows are certainly spectacularly flamboyant, the songs on Awoo do not shy away from issues of gay relationships. But it is the sheer exuberance of the music that makes Awoo such a joyous celebration. 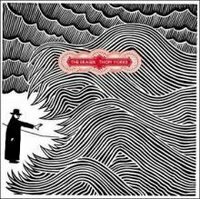 - In making The Eraser, Thom Yorke has fulfilled a personal need to explore his own interest in electronica and to let that interest lead him to new sounds. The result is a disturbingly beautiful album that is simultaneously spare and filled with soaring ethereal vocals. And it is intentionally minimalist; it's Thom playing with the very thing of his nightmares - computers and percussions and the stripped-down coldness of an alien existence. But with the strange off-kilter beats as a backdrop, Thom's voice soars like it never has before. One becomes utterly lost in this album. It is a compelling marriage of detached computer-generated rhythms and agonizing humanity. 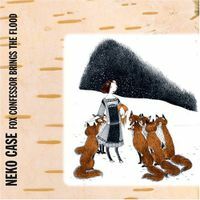 - In Fox Confessor Brings the Flood, Neko Case has moved so far beyond her past offerings as an alt-country torch singer with the huge voice and has matured so astoundingly that one wonders how she can possibly top this. She has learned to modulate her insanely powerful voice, one of the fiercest forces in the Western Hemisphere, to produce songs that defy the usual choices between immediately catchy and grow-on-you-slowly to produce a hybrid known as instant classic. - I won't even pretend to be unbiased about the Decemberists. I adore their music and I am enamoured of the literary references and the tales of murderers and rascals and rogues. But I was concerned when I heard that they were going to a major label to produce The Crane Wife. I was afraid that this would mean the compromise of their ideals and the forcing of the songs into a more marketable format. I was silly to have worried. If anything, the move gave them the freedom to spend the time that they needed to make The Crane Wife the perfect gem that it is. The Decemberists explore a variety of musical genres here, from their more familiar traditional tales to a prog rock-like opus in The Island: Come and See/The Landlord's Daughter/You'll Not Feel the Drowning to the Talking Heads-reminiscent The Perfect Crime No 2 to a return to a traditional round-song in Sons and Daughters. There are spaces within the songs that allow the music to breathe and to grow at the natural pace which the songs require. Nothing is rushed, nothing is forced. The Crane Wife is utterly beautiful. Did you know that your reviews make the music I already love even more enjoyable? Well they do :) I'm listening to Belle and Sebastian right now. The only album out of the top five favs that I don't have is The Hidden Cameras one. I will have to fix that soon!!! Ok, Im going to reread the list again, cause i was so excited I read it too fast haha! I definitely second numbers 19, 13, 12, 5, 2 and 1. Of course my love for Neko Case is already well documented. Most of the others I don't know so I'm going to have to take a listen and add them to my already too long list of music to check out. That is so sweet of you to say, Mel. 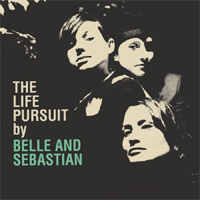 I hadn't listened to The Life Pursuit in too long myself, so this was a good reason to dip into some great cds. I do the same thing - reading to quickly and needing to go back and read again. There is never any end to the music that needs to be checked out, Toccata. It's always a mad scramble. I'm pleased you agreed with some of my choices. Oh wow, so much catching up to do. I shall be back after I read and digest fully your lists. Hope you new years was fun! Great stuff Barbara. Did you realise that 6 of these featured in Will & Ben's top 40 and 1 (The Editors) was in my top 10 for 2005. Superior taste I say Madame Bruederlin. We don't need Pitchfork telling us what to listen to. I ran your statement through my translator, Allison, and it said "after my hangover subsides, I will read this looooooong post." Take your time, my dear, you've earned it! 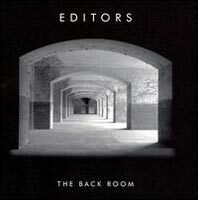 Oh damn, you are right, Ben - Editors was released in 05! I need to check me facts a little more carefully. But yes, we are certainly a tasteful bunch of music lovers around the blogosphere, aren't we? As usual for me, I know very little and am ashamed to say so. But that is what makes coming here so special for me...I'm like a kid in a candy shop here. You really will be a great addition to the Record Room...I couldn't think of a better fit for you Barb. I know you will have some wonderful stuff to contribute over there and look forward to your input. I only know about half of that list. Ugh. I am going to be spending the first part of 2007 just catching up with your 2006. I'm adding to my list of goals to listen to more new music this year. Thanks for the guide, Barbara. Awww thanks, Deb! I think my first cd review for the Record Room will be a Canadian one that made my top 20 list for 06. I hope to write it in the next few days. And I'm not saying who it is. I feel the same way with a lot of people's list, JACC. I guess that's one of the reasons we make them and one of the reasons we read them. My goal is to sleep more and exercise less, Johnny Yen. And take up smoking. Kidding - but I do find that I listen to more and more music all the time and still can't keep up. Yes! I've always wanted to be an evil genius, Allison! It's a mutual admiration society then, because you have introduced me to so much music as well - Guillemots, David and the Citizens, the Oohlas, Great Aunt Ida... I'm looking forward to your lists. No big shock that the Decemberists topped your list, eh? I have to admit, while I'm a fan, I know only a couple of tracks from The Crane Wife. Most of what I know is from earlier cds. Glad to see Treeful of Starling there too. 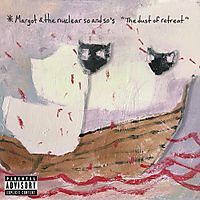 I was disappointed to see this cd absent from most people's best cds of 2006 list. It's great. Perhaps not as rocking as some of his previous stuff, but great in what it is. I didn't surprise you with the Decemberists, John? And I thought I was being so cutting edge. I agree that Treeful of Starling is lovely - it's a return to his introspective ballads, which is very welcome. A totally killer top 20 ... glad we've got you over at the Record Room, now. I thought it was a pretty solid year for music, and blogging introduced me to a world of new stuff. 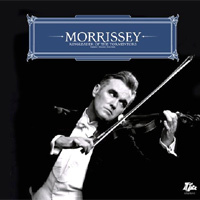 Looks like we put Morrissey in the exact same spot. Now, there are still a decent handful that I need to go and discover. I should also give The Eraser another good listen sometime soon. I think the Eraser will stand the test of time, Will, I really do. And there's quite a bit on the list that you got me started on initially - Margot and the Nuclear So and So's, the Streets, the Oohlas (whom I think you introduced Allison to, who then introduced them to me), so I've got you to thank for a lot of fine listening this year. I'm really honoured and excited to be joining the Record Room. In fact I'm planning to write a review on Kinnie Starr's cd Anything (#8 on my list). I just have to say that I'm mighty proud that my best of 2006 has a few overlaps with the list of someone so musically astute as you. YAY! hahaha - this is because we are both women of impecible taste, Phlegmmy!